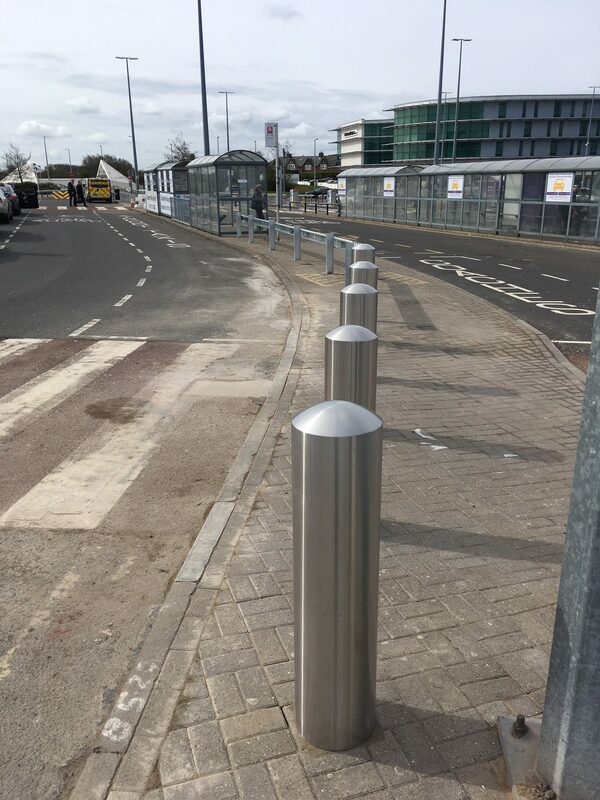 RHD Construction were awarded the contract to install Anti-Ram bollards along the front of the main Airport building. 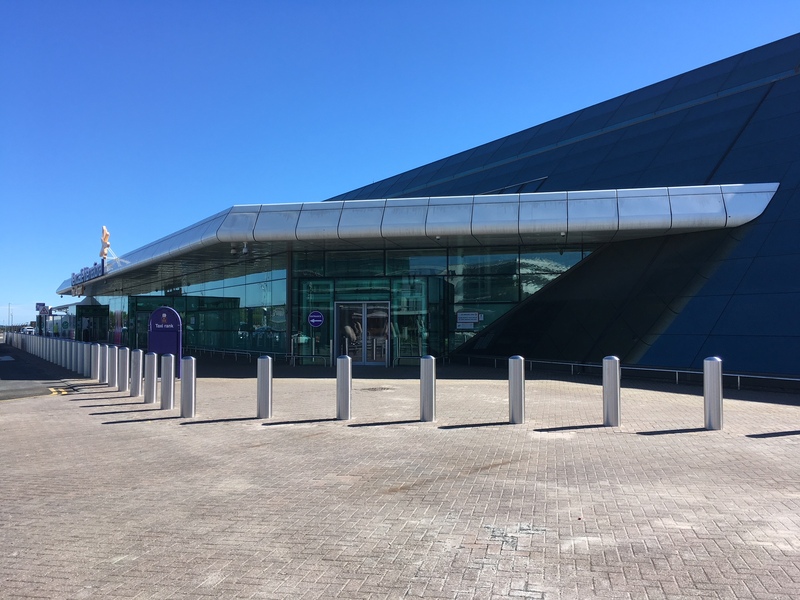 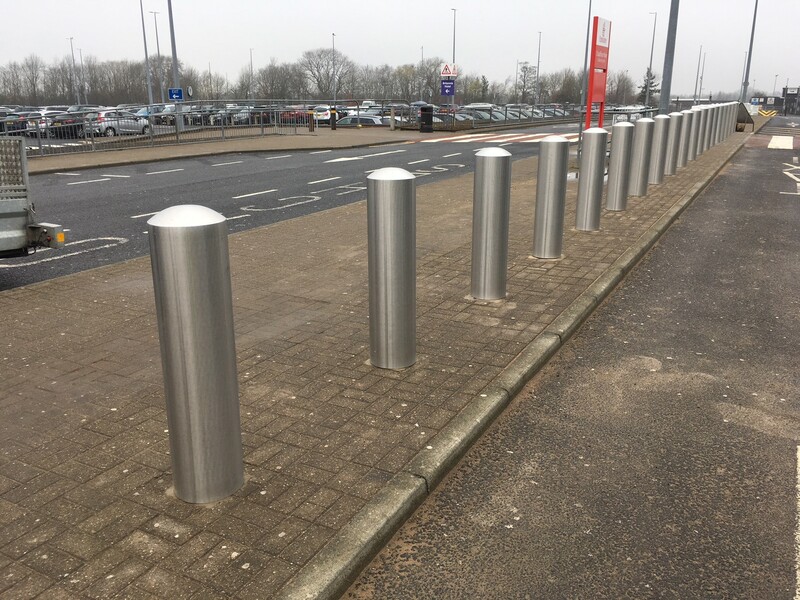 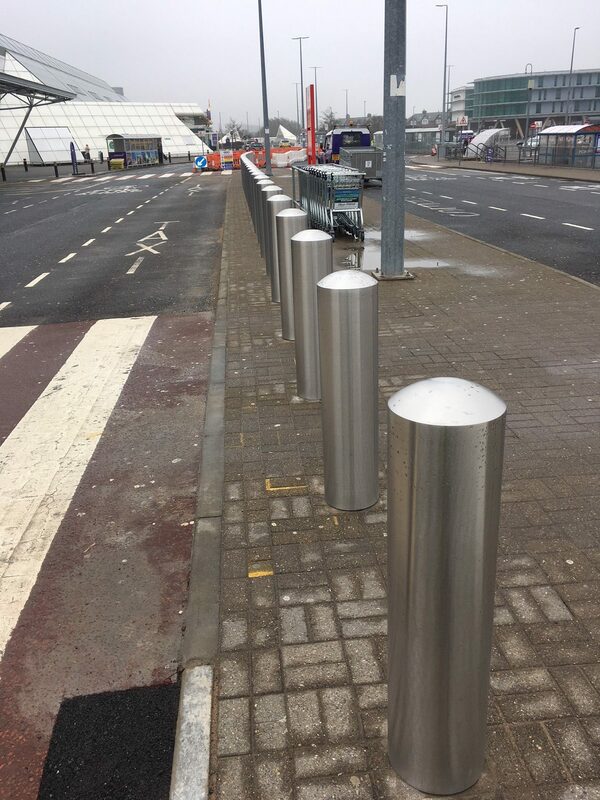 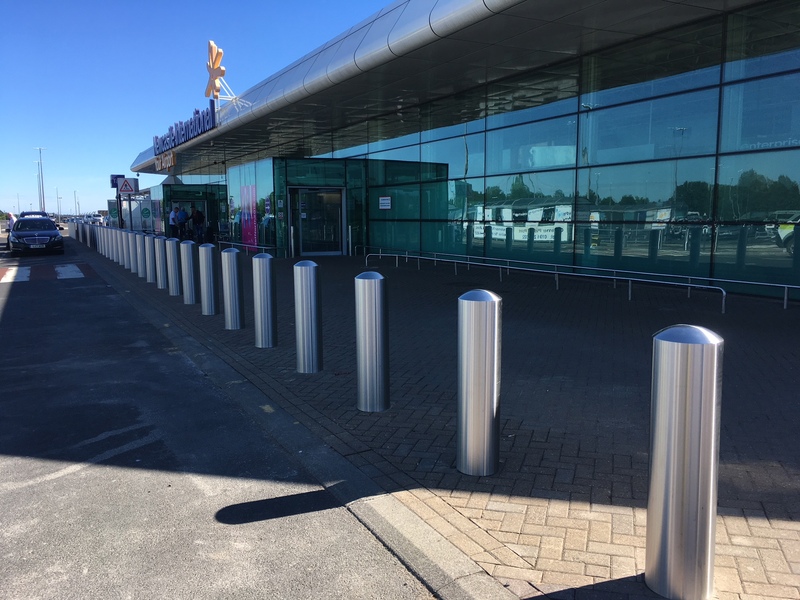 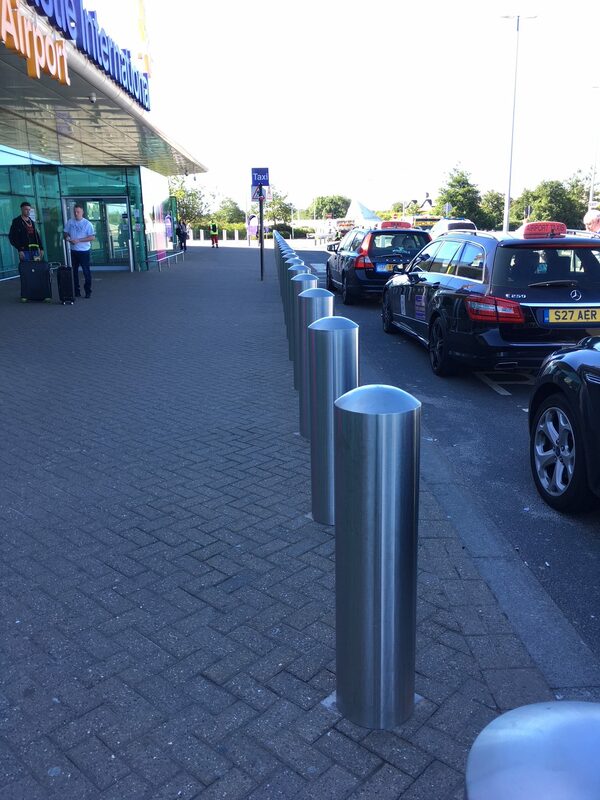 The aim of this project was to install large anti-ram bollards, the bollards were installed into a concrete raft along the full length of the entrance to the airport. 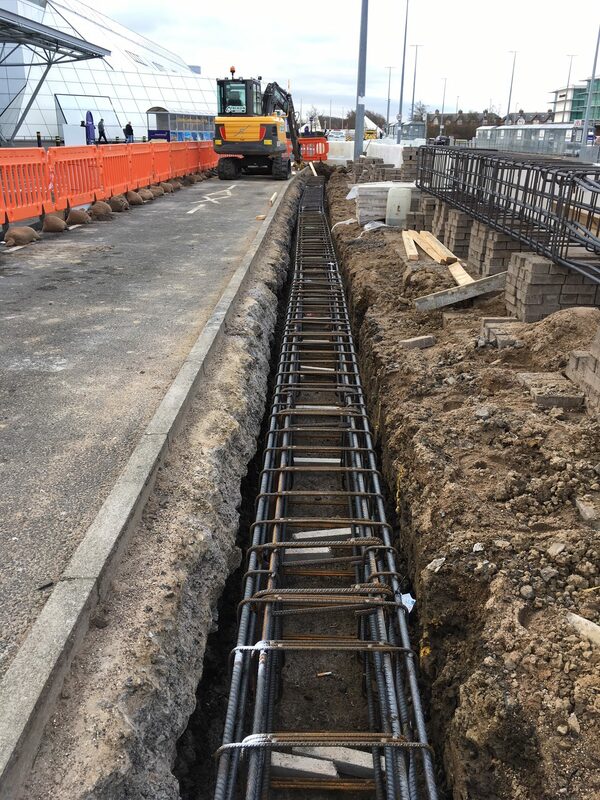 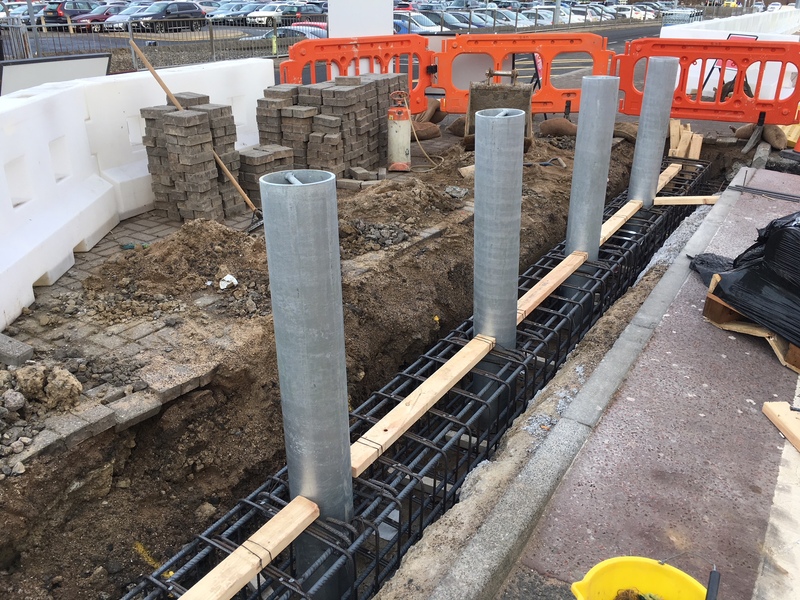 A cut and bent steel rebar beam was laid underground, the bollards were fitted into the rebar at proposed distances. 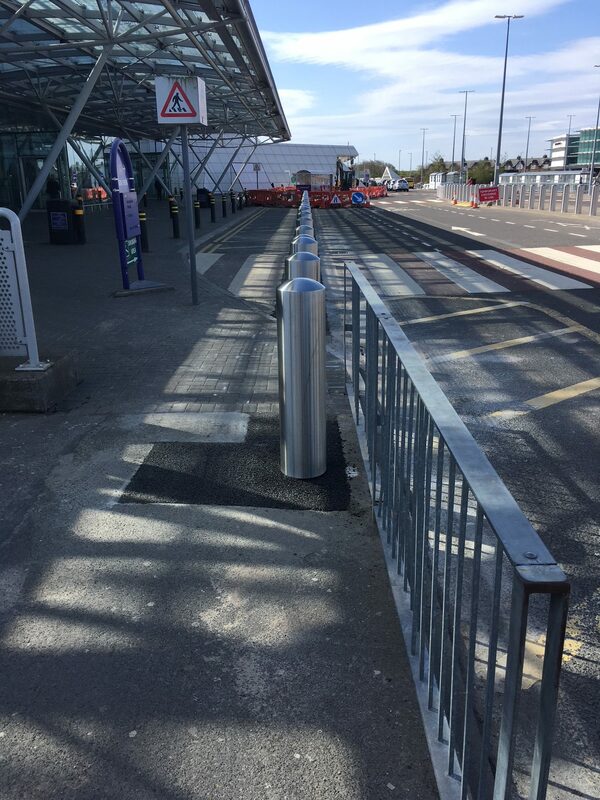 We then reinstated the original surface to match existing. 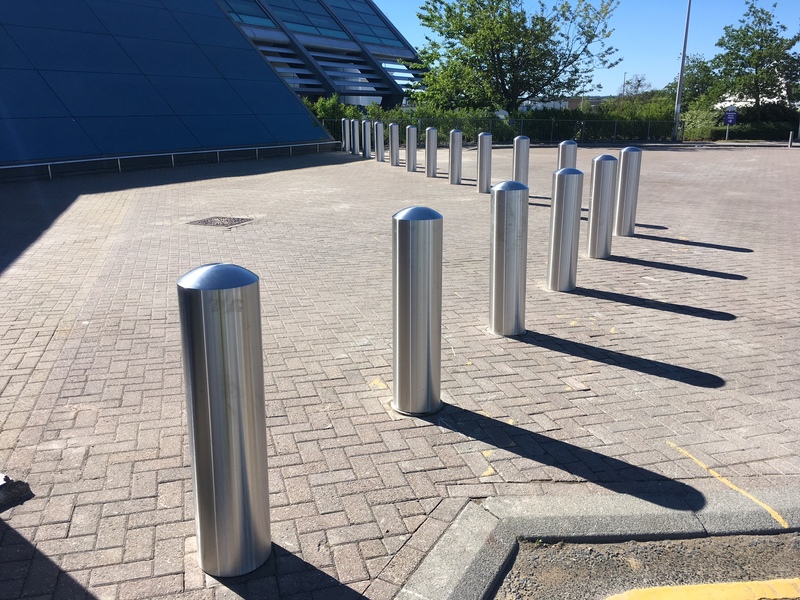 The bollards were completed with a stainless steel sleeve for a decorative finish.